In today’s world, putting money into a traditional savings account just isn’t enough to cut it. You can scrimp and save for decades and still not end up with enough money for your retirement. In order to build up enough wealth to meet your long-term goals, you need to invest your money. Thanks to technology, it’s surprisingly easy to invest for the long term. The rise of robo-advisors in Canada provides a simple way for you to “set it and forget it” as you strive to create a nest egg. But what is a robo-advisor? And can you trust a computer with your money? The good news is that robo-advisors offer a cost-efficient and easy way to start investing. Read on, and I’ll answer all your questions about Canadian robo-advisors — and even provided reviews of my top choices. Let’s start with the basics. A robo-advisor is a company that takes your money and invests it automatically in a portfolio that reflects your risk tolerance. Your portfolio is created using exchange-traded funds (ETFs), which are similar to mutual funds but trade like stocks on the exchange. It’s important to understand that robo-advisors aren’t actually robots. Instead, it’s all about the automatic investment according to time-tested investment theories. Most robo-advisors adhere to Modern Portfolio Theory (MPT), the management style put forth by Nobel Prize winner Harry Markowitz. The idea is to focus on asset allocation instead of individual stocks. When you talk to a “real” financial advisor or money manager, they, too, will use MPT to help you put together a portfolio. They are likely to use actively-managed mutual funds and may even try to pick individual stocks on your behalf. With a robo-advisor, though, the process is automated, based on your own profile, time horizon, and goals. And, instead of actively managed funds and individual stocks, robo-advisors tend to favour index ETFs. And, finally, let’s be clear. With Canadian robo-advisors, you’re not being shuffled off to a heartless robot. In fact, these companies are run by actual human beings — usually very knowledgeable humans with impressive backgrounds. They handle your customer service, tweak your portfolio, and make sure the computer’s algorithm and chosen portfolio still make sense for you. In many cases, the people behind the robo-advisors construct the portfolios that you automatically invest in each month. 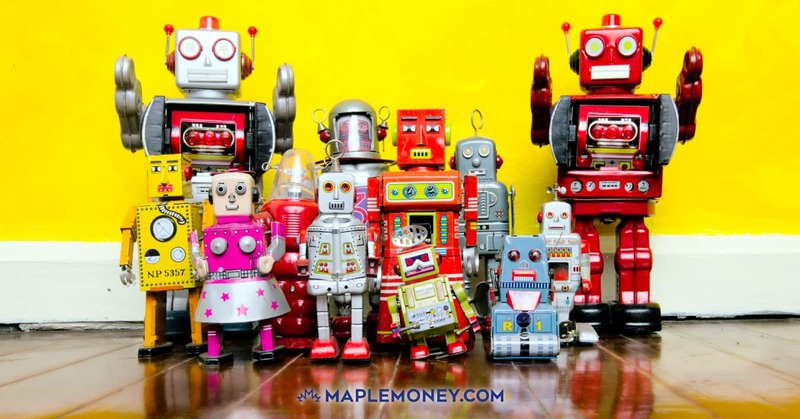 If you want to hear more about robo-advisors, hit play on this episode of the MapleMoney Show, where I bring on Kyle Prevost to cover what a robo-advisor is and how you can get started. Why are Index ETFs so Great? Most robo-advisors in Canada use index ETFs in portfolio construction. So, why are these investment vehicles better than actively managed mutual funds or stock picking? Well, because human beings, research shows, are terrible at choosing the right investments. Index investments, on the other hand, follow the performance of a wide swath of the market. You can even find index investments that track the entire market at once. With an index fund, you get access to the performance of a huge portion of the market as a whole. That means that it’s less about whether or not a single stock or bond is doing well and more about how the market overall is doing. Since the market as a whole has never come up negative in any 25-year period, when you have a long time horizon (as you do when saving up for retirement), you aren’t likely to lose out with a diversified mix of index investments. Index ETFs are used by many robo-advisors in Canada because they not only provide some of the best chances for long-term wealth-building but also because they are low-cost. ETFs are very cost-efficient, usually with lower expenses than traditional mutual funds. And, of course, this also means that you can get a lower-cost product than you would by using a more traditional investment advisor. A robo-advisor is perfect if you want to start investing, but you aren’t sure where to begin. You know you need to set money aside for the future, but you might be concerned about how many choices there are. Or maybe you don’t feel like you have the time to do all the research needed to pick the right investments for your situation. Robo-advisors are designed to help. A robo-advisor will figure out an appropriate asset allocation (the combination of stocks, bonds, GICs, and other assets), and then automatically apportion your monthly contribution to the chosen assets, in the form of ETFs. Access to a wide range of index ETFs that are cheaper and better options than most actively managed mutual funds. Straightforward contribution choices available for a variety of accounts, including RRSP, TFSA, and RESP. Simple and “light” advice, depending on the company, and usually access to human customer service to answer your questions. Websites that are intuitive, easy to use, and visually appealing. Services like automatic rebalancing that help you stay on track with your long-term investment goals. The great thing about a robo-advisor is that it costs a fraction of what many other investment advisors charge. You might pay fees upward of 3% a year with a more traditional advisor. With a robo-advisor, your fees might be much lower — closer to 1% a year (or less). That means more of your money goes toward building your wealth. Now, it’s true that you won’t get highly customized service with robo-advisors. Instead, you’ll get an asset allocation that generally works for you, using broad-based portfolios designed for different situations and time horizons. However, for those getting started, and those who want a long-term solution, a robo-advisor can be a great tool. You can fill in other financial and estate planning issues later when you have more assets or the need for instruments like trusts and wills. No investment is ever completely safe. There will always be periods when an investment loses value, no matter what it is or where you keep it. However, Canadian robo-advisors are just as safe as the next investment. In some ways, a robo-advisor is safe than your traditional active mutual fund manager. First of all, the fact that most robo-advisors in Canada use index ETFs is a point in their favour. Index investments, as mentioned above, focus on large swaths of the market. So, as market performance improves over time, so does your portfolio. There are periods of downturn, and market events are very real. However, if you look at a long-term trend line, you will see that market performance smooths out over periods of decades. Ride out a stock market downturn, and there’s a good chance you can lock in gains later. Next, realize that all the reputable Canadian robo-advisors use investment dealers that are members of the Canadian Investor Protection Fund (CIPF). That means your investments account is protected from dealer insolvency — which doesn’t happen very often anyway. Your assets are protected from problems with dealers and robo-advisors (even if you can’t fully protect your money from the vagaries of the economy and the stock market). And don’t forget that robo-advisors use investment methods that have been time-tested for decades and are considered suitable for most people. Plus, in many cases, robo-advisors adhere to a fiduciary standard with their clients’ money. That means they have to put your interests first. In the end, your money is pretty safe with a robo-advisor. At least, it’s probably safer than it would be if you picked your own stocks, or even if you had a professional managing a high-cost actively-managed mutual fund. Couldn’t You Just Do All This Yourself? True story. Nothing robo-advisors do is nothing you couldn’t do yourself.  In fact, most Canadian robo-advisors are so transparent that you can see a list of everything in your portfolio. If you wanted to, you could simply open a discount brokerage account and then buy shares of the index ETFs listed, in the same proportions as are recommended for you. However, the appeal of a robo-advisor is the fact that you don’t have to do any of the legwork. You pay a little extra in management fees (although not nearly what you pay a traditional advisor) for the convenience of having it all taken care of for you. So, why do I recommend robo-advisors to most people if they can do it for themselves and do it a bit cheaper? Simply because most people won’t actually do it. It’s common for would-be DIY investors to research and read and swear that they will start investing — and then do nothing. The reality is that taking the first step is harder than it looks, and not everyone likes managing their portfolios, even if there isn’t a ton of management necessary. When you take on DIY index investing, the truth is that you have to be ready to rebalance your portfolio between two and four times a year. You have to evaluate the ETFs and the asset allocation you choose to see if they are still working for you. That’s what a robo-advisor does. Robo-advisors free up your time so you can concentrate on living (or even making more money to invest and put to work for you). They use time-tested methods so you don’t have to try to reinvent the wheel on your own. And they do it in a cost-efficient manner that allows you to keep putting more of your wealth toward your future, rather than watching your real returns eroded by steep management fees. While I like the challenge of building a portfolio and handling my investments a bit more directly, I also like to free up my time wherever possible. While I currently invest in ETFs directly through a discount broker, I’m considering moving to a robo-advisor so that I know my portfolio is automatically balanced and I’ll barely have to look at it. If you are looking for the best robo-advisor in Canada, Wealthsimple is a good place to start. It’s the largest robo-advisor in Canada, managing $400 million in assets, and the only mobile app in Canada that allows you to sign up for an investment account. Additionally, consumers can confidently trust Wealthsimple due to the fact that it acquired its own broker, ShareOwner, and has $32 million in funding from Power Financial. Wealthsimple offers access to a wide variety of index ETFs to help you build a portfolio in a variety of accounts. The advice is human-assisted, and the advisors have experience managing high net worth portfolios. Additionally, there are 15 full-time developers committed to building out the best technology available. There are no commissions, and the fees are very reasonable. It’s a solid choice for anyone looking to get a good start. See complete Wealthsimple review. Invest in fractional shares, eliminating the need for account minimums. Connect with the Wealth Concierge team via phone, email, text, or Skype. Socially responsible investment (SRI) options available. You can invest according to conscience with Wealthsimple. 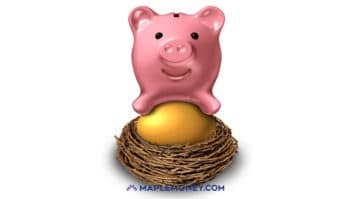 When referred from MapleMoney, your first $10,000 is managed for free for the first year, and after that, there is an annual fee of 0.5% or 0.4%, depending on the size of your account. Includes a mix of Canadian, U.S., and international stocks and bonds. A variety of registered accounts and non-registered accounts so that you can meet your various long-term goals. Get started with Wealthsimple here. As your portfolio grows bigger, you find that more dollars go toward fees. It’s just the way it is when you pay a percentage of your balance. Nest Wealth changes that model by charging a flat fee of $20, $40, or $80 per month, depending on the size of your account. If your portfolio size is at least $150,000, you don’t have to ever pay more than $80 a month in management fees. On top of that, Nest Wealth is the only robo-advisor in Canada to keep its accounts at a major bank. This offers protection for your money. Plus, you have the access to the resources of a large bank, but the service of a smaller concern. Not only that, but each customer of Nest Wealth gets a customized portfolio. You won’t see slightly tweaked pre-packaged portfolios. 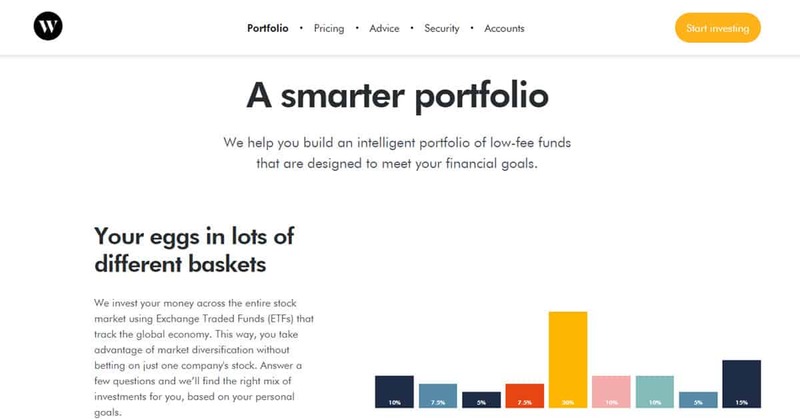 Finally, this Canadian robo-advisor prides itself is using the most efficient combination of blue-chip ETFs. The average expense ratio works out to be about 0.13%, which is very low. You will have to pay third-party transaction fees and expense ratios, but if you have a large portfolio, the savings from management fees can make a huge difference. See complete Nest Wealth review. A wide variety of blue-chip ETFs used to create low-cost portfolios. Experienced managers, including the CEO, who has been managing money for 15 years. Fully customized portfolios for each customer. Monthly management fees capped at $80 per month and yearly third-party trading fees capped at $100, no matter the size of the portfolio. Portfolio balancing on a regular basis to ensure your portfolio continues to operate at the optimal level. Full range of registered and non-registered accounts and a holistic approach to account management. Get started with Nest Wealth here. 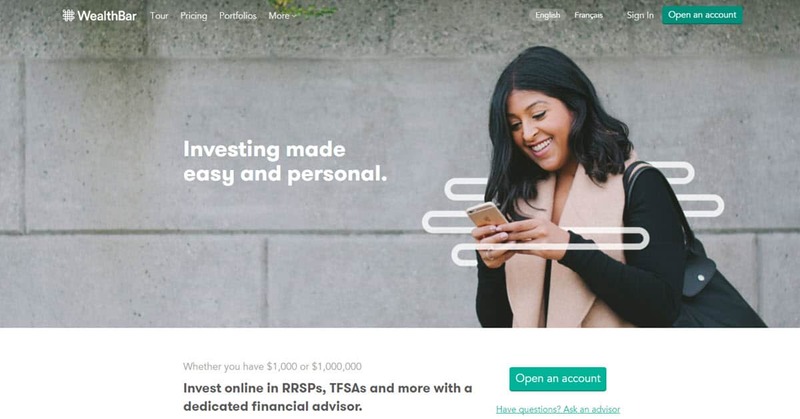 If you’re looking to get started investing with a Canadian robo-advisor and you don’t want to pay a lot in fees, ModernAdvisor can be a good fit. 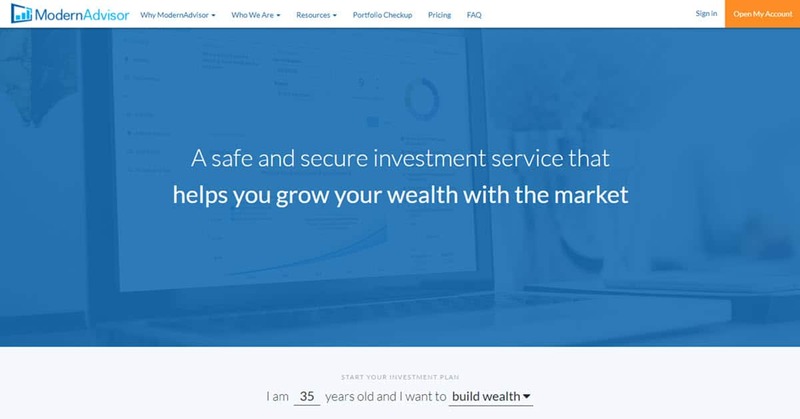 This robo-advisor allows you to invest up to $10,000 without any management fees. This is the largest “starter” portfolio managed for free in Canada. This can give you a solid start before your money starts being siphoned away for fees. On top of offering a large free portfolio, ModernAdvisor also offers one of the most competitive pricing structures for portfolios that hit $100,000. In many cases, Canadian robo-advisors wait until you have a higher balance before your management fee drops to 0.4%. You can also take advantage of the Springboard program to practice online investing. It’s a demo account, but if you are nervous about putting your own money in first, it’s a good way to get a little practice in. Model some strategies and ideas before you put in your own money. See complete ModernAdvisor review. Large free portfolio management of up to $10,000. After that, fees range from 0.50% to 0.35%, depending on the size of your balance. Fee analyzer tool that allows you to compare actively managed mutual funds with ETFs to see where you can get the best bang for your investment buck. Demo account through the Springboard program that allows you to test out online investing before committing your own funds. SRI choices for those who are interested in making sure their portfolios match their values. Includes diversified asset classes, including various stock and bond ETFs, as well as REITs to add a real estate asset component. Tax-advantaged and non-advantaged accounts, and different management techniques to help ensure the best outcome over time. Get started with ModernAdvisor here. 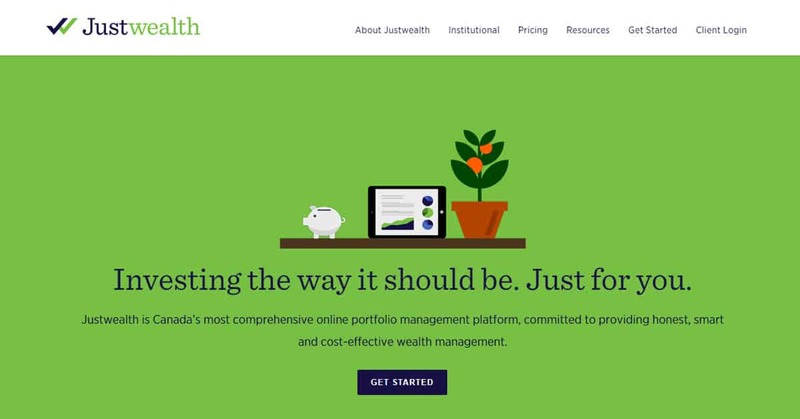 If you are looking for the best robo-advisor in Canada for your child’s education account, Justwealth is a pretty decent choice. Justwealth specializes in target-date portfolios. This allows you to figure out your goal’s time horizon and then your portfolio is managed accordingly. As you work toward funding your child’s education, Justwealth can help you with a target-date RESP. 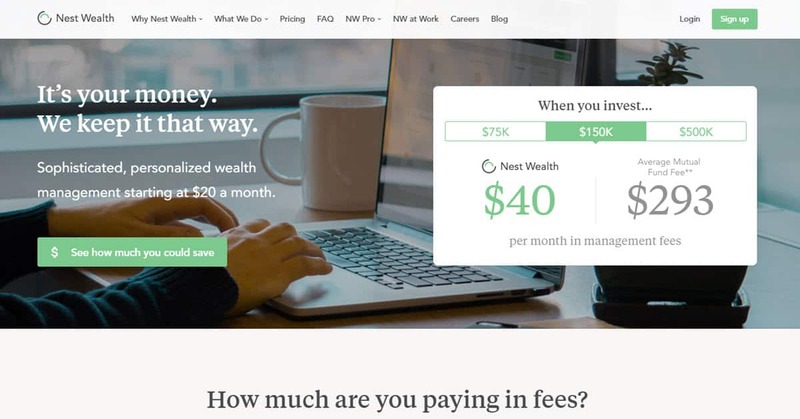 Justwealth does have a slightly higher management fee, and it’s divided into two tiers: 0.50% for account balances under $500,000 and 0.40% for account balances above that. There are also minimum fees for smaller account sizes, so pay attention (although RESPs have smaller fees). In addition to RESPs, Justwealth also offers a variety of registered and non-registered accounts you can use to meet various goals. Think about what you are looking for in order to achieve best results. See complete Justwealth review. Specializes in target-date portfolios for RESPs. Features a portfolio review. This review takes a look at your current portfolio and analyzes it for fees, account structure, and diversification. Simple fee structure, although there are minimum fees charged for smaller accounts. Goal-based investing focuses on your time horizon, and how to achieve your goals, rather than just assigning you a general portfolio. Tax-efficient strategies so you keep more of your money. Those involved with Justwealth and their advisory board are a mix of specialists, credentialed advisors, and PhDs. Get started with Justwealth here. If you’re looking for someone to help you with long-term financial planning and seeing where your investments fit into the bigger picture, WealthBar can be a good choice. This is one of the best robo-advisors in Canada since they offer money management help through a dedicated financial advisor for each client. You do need a minimum of $1,000 to start investing with WealthBar, but they will manage your first $5,000 for free. Fees range from 0.60% to 0.35%, depending on the size of your account. But it’s nice to get a solid start with the first $5,000 managed free. Where WealthBar really shines, though, is the personal attention to detail. Those involved with WealthBar have long experience managing high net worth clients, and they bring some of that attention to detail and personal help to your portfolio. Plus, with the financial planning component, you know you’re getting a holistic look at your finances and investing. See complete WealthBar review. You need $1,000 to start investing, but you can set up an automatic deposit before you reach that amount so you can build up to the $1,000. Your first $5,000 is managed for free, after that fees range from 0.60% to 0.35% as your account balance grows. All clients received a dedicated financial advisor. While portfolios are created with technological help, you can still contact your advisor for information about financial planning. Accounts are optimized for taxes. Access to Nicola Wealth Management’s private investment pools through your WealthBar account. Normally, you would need at least $1,000,000 to access these private portfolios. A variety of account types and investments to help you reach your goals. The only Canadian robo-advisor to offer RDSPs. However, you need to have another account with them first. Get started with WealthBar here. If you tend to be somewhat hesitant to try new things, when it comes to testing the waters with a robo-advisor platform, BMO SmartFolio might be right for you. What SmartFolio provides is the stability and peace of mind that comes from dealing with one of Canada’s largest, and most long standing financial institutions. BMO SmartFolio fees however are somewhat higher than those of many of their competitors. For example, you will pay an advisory fee of .70% on the first $100,000, and .60% on the next $150,000 invested. In addition, the Management Expense fees (MER’s) associated with the SmartFolio ETF portfolios tend to be slightly higher than those of their competitors. This is mainly due to incorporating a broader mix of more specialized ETF products that seek to for example reduce volatility. Incorporating ETFs that have more complex and specialized mandates can result in slightly higher MER costs vs. plain-vanilla index tracking ETFs. Overall, while fees may be modestly higher than some other robo offerings, what’s also unique to SmartFolio is tapping into a worldwide Top 40 Global Asset Manager and the collective experience and expertise of the portfolio management team. They also bring a slight touch of active management making tactical decisions based on market activity to optimize portfolio performance. The stability and peace of mind that comes from dealing with one of Canada’s largest financial institutions, and it’s oldest. Pre-constructed ETF portfolios that can include some more specialized ETFs, along with global asset management expertise while providing a competitive, if slightly higher, fee structure. An introductory offer of $15,000 managed FREE for the first year. Get started with BMO SmartFolio here. You can’t really go far wrong with any robo-advisor you choose. 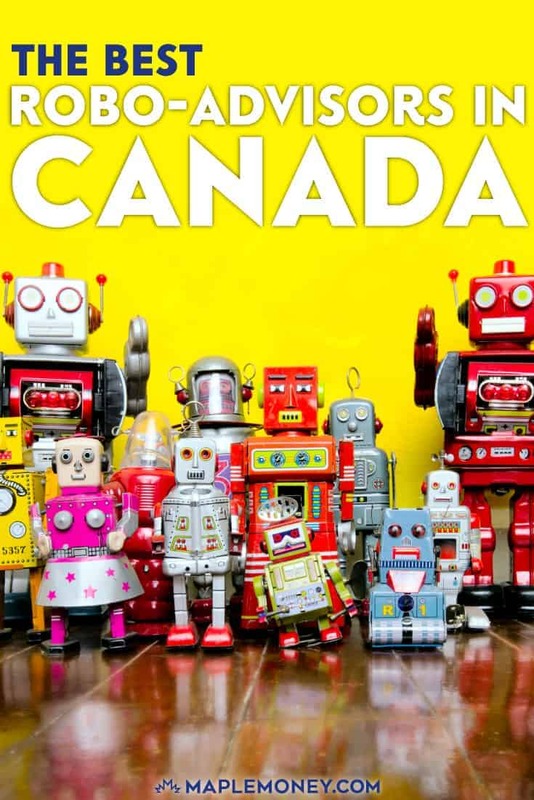 All of the Canadian robo-advisors come with low costs, especially when compared with actively managed mutual funds and more traditional investments. It takes the concept of couch potato investing to the next level. You don’t have to do anything, other than take 10 to 15 minutes to sign up for an account, set up an automatic investment schedule, and then wait for someone else to do the heavy lifting. You can find other great opportunities with robo-advisors like Betterment and WealthFront if you live in the United States as well. Don’t let these opportunities pass you by. There are a lot of great chances for you to get started. ModernAdvisor offers MapleMoney readers $50,000 managed free for one year when you open and fund a new account. WealthBar gives our readers up to $15,000 managed free for 1 year when you sign up and fund your account. Wealthsimple has no management fees for a year on the first $10,000 of investments. Justwealth will give MapleMoney readers a special $50 bonus when you open a new account. Investing truly is one of the best ways to build wealth over time. Don’t let it pass you by. Use one of the best robo-advisors in Canada to start your investing journey and reach your long-term financial goals. Curious how you would rate the new Questwealth Portfolios? And do you know if you can hold this type of investment in a TFSA with Questwealth?